Water coloring again today and wanted to create a beach scene. 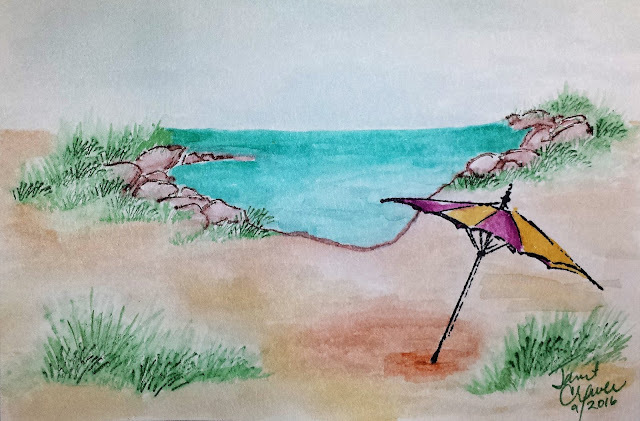 I used the rocks and umbrella stamps from the Art Impressions WC Series 2 Set 4053. Makes me want to put my toes in the water!